﻿﻿﻿﻿﻿﻿﻿﻿Click the Naat title to play it. Junaid Jamshed was born on September 3, 1964 And Died on December 7, 2016. He was a Pakistani artist, television personality, fashion designer, singer, songwriter, and preacher. After graduating with a degree in engineering from the University of Engineering and Technology in Lahore. Junaid Jamshed worked as a civilian contractor in forces before coming in field of music. 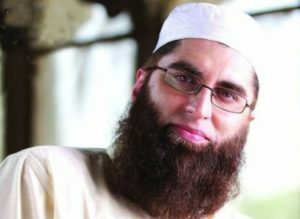 His Songs Dil Dil Pakistan become popular and junaid jamsheed got popularity from this song in Pakistan. After that Junaid Jamsheeed released couple of albums which also got popularity in Pakistan. But in 2004 he left his musical field and start working in preaching of Islam and reciting naats.He also got fame in field of naats. His popular naats are Mera dil badal de and Main to ummati hun. Junaid Jamshed has its own boutique named as J. which has many outlets in Pakistan and in abroad. Junaid Jamshed and his second wife died on 7 December 2016 when PIA Flight 661 crashed in Havelian. The flight was going to Islamabad from Chitral. We have a large collection of Junaid Jamsheed Naats in MP3 format. You can download Junaid Jamsheed Naats in Mp3. We are uploading lyrics of naats which will be available soon. Junaid Jamshed naats, MP3 naats, naat lyrics, latest naats, Naats, download naats, Junaid jamshed Mp3 naats.